Australia, the sunburnt country… a land of vast sweeping plains…the playground of the crocodile hunter…chuck another shrimp on the barbie, mate. Alongside the rampant cliches – the land ‘down-under’ is imprinted in the collective global psyche as one of the final frontiers of unbridled adventure. But, what of artistry? We are here to prove that refined culture and intrepid landscapes CAN meet in the middle, with six stunning Australian destinations available for your selection. Is there anything quite so primordially fantastic as the Northern Territory’s capital of Darwin? We think not. And, staying in affordable and comfortable accommodation is so easy, take Darwin CBD apartments, as an example. From here, you will be in the perfect position to sample the rich cultural and artistic heritage this region has to offer. Take a tour of Litchfield National Park under the tutelage of a local indigenous guide. In this way, you will gain an understanding of the spiritual significance of this land from the eyes of the traditional owners (the Wangait people). Start at the Museum and Gallery of the Northern Territory for an intriguing overview of the region’s art and history, before expanding to local galleries (including those on the Tiwi Islands). Australia shoreline is synonymous with the sails of the Sydney Opera House. This iconic structure is both an architectural marvel and is home to one of Australia’s prime cultural hubs – all set amidst one awe-inspiring natural harbour. Book your seats at the The Australian Ballet during its seasonal shows, or delight in the outdoor Handa Opera. Check out the major institutions like the Art Gallery of NSW and the Museum of Contemporary Art. However, make sure you don’t miss out on the independent galleries (such as White Rabbit and The Brett Whiteley Studio), as well as the thriving scene of artist-run initiatives. Uluru. This would have to be the final word on outback adventure. 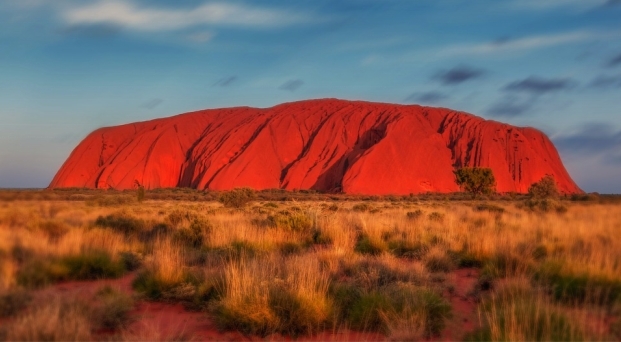 Arising from arid expanse, this sandstone formation is known as an inselberg – literally meaning ‘island mountain’. Begin your experience at the region’s Cultural Centre. Here you will learn of the traditional law that is ‘Tjukurpa’. This is a ceremonial/belief system that keeps ancient narratives alive through the relaying of dreamtime wisdom. Visit the Walkatjara Gallery. This a space that affords the surrounding community (the Mutitjulu) with the ability to showcase their work in the physical sense, as well as the ability to translate the meaning/method behind their art directly with their audience. The Great Ocean Road and The 12 Apostles. No, we aren’t talking about a biblical verse – although the scenery is of epic proportions. An ideal place for a road trip, the effect of a dozen limestone outcroppings looming from the Southern Ocean on Victoria’s rugged coastline is indeed a spectacle to behold. Along your drive, drop in on the many local museums (such as the Flagstaff Hill Maritime Museum). Discover an array of delightful galleries/potteries (perhaps accompanied by a spot of tea and a scone). We are happy to report that the local festival atmosphere is alive and kicking – just take the famous Falls Festival as the perfect example. Ah, Tassie – your temptations are of the truly scenic variety. From wilderness to coast line, there is so much to explore on the one apple isle. Straight off the bat, there is Cradle Mountain, Freycinet National Park and Bruny Island. Then, there are waterfalls, caves, cliffs and mountains galore (you will even find the occasional hops field). For history buffs, you can’t go past the convict site of Port Arthur. For the foodies, there is the Cadbury Chocolate Factory (located in the town of Claremont), and the vintage breweries (to be found just about anywhere you venture). Plus, possibly the best street food to be had in all of Australia at Salamanca Markets in Hobart. Karijini is perhaps a lesser-known Australian tourist gem, but no less spectacular. Multi-coloured marbled layers of rock form subterranean gorges, serpentine tunnels and sparkling rock pools in this intrepid region of the Pilbara, Western Australia. Karijini National Park is endowed with some breathtaking hidden treasures, all at once ecological and intellectually edifying. There is even a yearly celebration of art and culture known as ‘The Karijini Experience’. We hope you have enjoyed our perfect blend of stunning Australian destinations that tick all the boxes for those more than acquainted with an unquenchable thirst for art, culture and travel. So, dust off your Akubra….pack your swag and billy… and journey on!